Where to stay on the Wild Atlantic Way! Part 2! The enthralling voyage of discovery along the Wild Atlantic Way knows no bounds. From one amazing cliff view to the next, sandy beaches, stunning islands and bustling villages and towns all entwined with the mythology, history and traditions of Ireland - this route shows you the very best of the Emerald Isle. It is authentic and real, and perhaps a little rugged around the edges, just like the wild beauty of the Atlantic Coast itself, but undeniably raw and riveting! In Part 1, I shared my accommodation favourites in Donegal, Sligo and Mayo, but today we move a little further down the coast and look at hotel and bed and breakfast options in Galway, Clare, Kerry and Cork! So, without further ado, here are my recommendations! The G Hotel, Galway City – This 5 star hotel is slick and modern and located close to Galway Bay with some gorgeous views of Lough Atalia. It is close to the buzz of Galway City with its many shops, bars and restaurants. Ideally placed to tour the wonderful Aran Islands and visit Brigit’s Gardens, you can also take a cruise of Lough Corrib with regular sailing from Woodquay in Galway City. Stylish and classy with a delectable spa and sumptuous culinary options, it is hard to beat this trendy but very welcoming hotel! Renvyle House Hotel, County Galway – This gorgeous 3 star hotel in the heart of Connemara is at once cosy, charming and welcoming. It first opened its doors in 1883 so Renvyle has a long history of offering hospitality and the traditional Irish welcome. They are known for their award-winning cuisine and I can assure you that the dinner I had there was one of the best I have ever had! And I am kinda picky! Its location is perfect to tour the many delights of Connemara, visit the breath-taking Kylemore Abbey and Gardens and explore Connemara National Park. 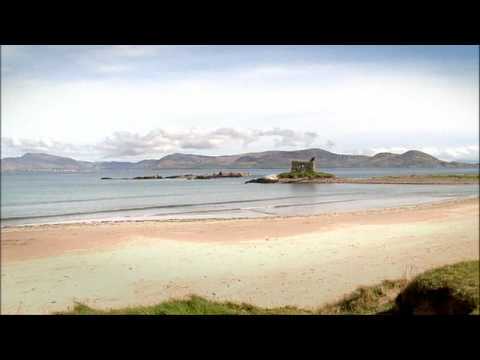 You can also enjoy a walk around the Renvyle Peninsula or Connemara Loop. Exuding much warmth and character, this hotel will be one you most definitely want to spend more time in! Eden Hill Bed and Breakfast, County Clare – This cattle and horse breeding farm is set in the tranquil Clare countryside just outside Ennis town. The Morans are consummate hosts and there is a real home away from home feel about the place. From here, tour the gorgeous Clare coast with the delight that is the Cliffs of Moher under an hour away. Walk the Cliffs or for an alternate view take a boat trip which shows their true scale. Look out for the Puffin colonies too! Loop head is just over an hour away and another great spot to visit. Bellbridge Hotel, County Clare – Another personal favourite of mine is this 3 star hotel on Spanish Point, just outside the town of Milltown Malbay. It's within a minute’s walk of a sandy beach and has some lovely panoramic coastal views. From here the Burren, the Cliffs of Moher, Doolin and Lahinch are all within handy reach. Take a stroll along Spanish Point and soak up the views which are simply stunning, and then treat yourself to dinner in the hotel, which is delicious! Great hotel with a great location. Dingle Skellig, County Kerry – Ahhh Dingle – My “get away from it all” place and it is no wonder when you see the wealth of attractions on this Peninsula. This 4 star hotel is located on the shore of Dingle Harbour so the town itself is only minutes away. Take the Slea Head Drive, visit the Blasket Islands and the Skellig Islands and enjoy a night of great traditional music and craic in one of Dingle’s many pubs. The hotel has a great spa with an out-door hot tub, overlooking the bay. An experience not to be missed. Mystical Rose Bed and Breakfast, County Kerry – Located just outside of Killarney and close to the Ring of Kerry, this family run bed and breakfast has been in operation since 1957. Killarney town is bright and colourful, so be sure to wander around before exploring the Killarney National Park or driving down to Dingle to explore the Peninsula – just over an hour's drive away. Actons Hotel, County Cork – Located in Kinsale, this 3 star hotel overlooks the harbour. The town is known as the Gourmet Capital of Ireland, so be sure to feast yourself on the wide array of culinary options on offer. From the town, take a boat trip around Old Head and see the beauty of the region as you learn its epic history. Visit James Fort and Charles Fort, both important to the history and development of Kinsale. Picturesque and historic, Kinsale has it all! Maritime Hotel, County Cork – In the stunningly gorgeous location of Bantry, the 4 star Maritime Hotel is stylish and chic. Bantry town is absolutely charming, with the Beara Peninsula, Sheep’s head and Mizen Head (Ireland’s most southerly point) all within an easy distance. Take a boat trip of the Bay, visit the islands of Whiddy, Garnish, Dursey and Bere, and simply drink in one of the most idyllically situated towns in Ireland! I hope you're tempted to stay in some of these places as you tour the Wild Atlantic Way. Be sure to check out some of our great tours which take you to parts of this wonderful route such as our Ancient Ireland Self-Drive Tour 8 Day or the Experience the North and West Ireland Self-Drive Tour 8 Day. Inquire with us and start planning your tour today! It’s the Wild Atlantic Way – your way!